Samsung Galaxy S3, meet Jelly Bean. Jelly Bean, meet the Samsung Galaxy S3. The hottest update for the hottest phone around is rumored to be taking place this month, as the popular Galaxy S3 is upgraded to the latest version of Android. The Samsung fans at Sam Mobile report that the S3's Jelly Bean update is in the final stages of testing, and will be revealed on 29 August. That's the start of IFA, the annual European trade show where the world's tech manufacturers, distributors, press and general hangers-on gather in Berlin to eat sausages, quaff from steins, and fondle the best kit hitting shops for the rest of the year and beyond. Samsung is expected to unveil a new Galaxy Note at IFA. Could we see some Jelly Bean action too? 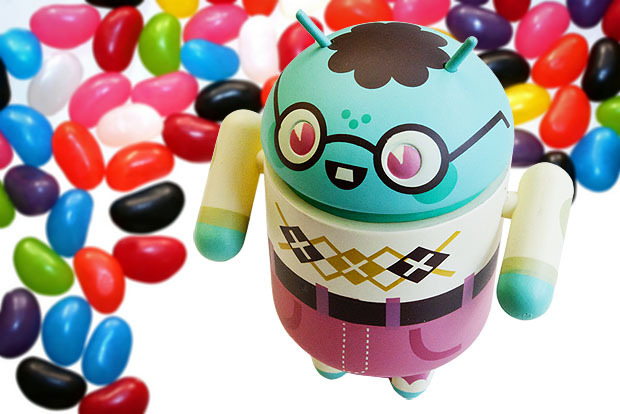 Word on the street is that the code for the Jelly Bean update is fully baked and has been submitted to Google for certification. When the big G gives the thumbs up, Samsung can start to push the update out to you and your S3. It's unusual that no code has leaked yet, but we already know that security around the S3 is intense. One engineer who worked on designing the phone described the security as "torture" -- so that could extend to the Jelly Bean update too. It's unusual that no code has leaked yet, but we already know that security around the S3 is intense. One engineer who worked on designing the phone described the security as "torture" -- so that could extend to the Jelly Bean update too. Let's hope the Jelly Bean update goes rather more smoothly than the last upgrade.